The telecommunication and smart phone giant Huawei released their Windows 10 Convertible 2-in-1 tablet, which shocked entire PC/Tablet market. Obviously Huawei was not only attempting to share the smart phone meals, but also had plan of coveting other mobile devices including Tablet to extend their mobile market. Even some people complaint the name “Matebook” is wired and seems similar with Apple’s MacBook, but Mate is the famous Huawei Brand name, which is a reasonable name for this tablet since it is from the same product line with Huawei Mate 7/8 smart phones. Due to CNET report, Matebook’s price would be from $699 with Core M3 processor and 4GB of RAM to $1,599 for a Core M7 chip and 8GB of RAM full features. We wanted to tell you the minute we began rolling out OneDrive. It’ll start showing up online at OneDrive.com and in app stores in the coming hours. We couldn’t be more excited about the launch and hope you are too! Actually this is a late news, we just want to record: In Dec 30 2013, Yahoo issued a news about Chinese President went to a steamed bun restaurant in Beijing. 2013 Sep 3, Microsoft and Nokia announced that Microsoft will purchase Nokia’s Devices & Services business and related stuff. Under the terms of agreement, Microsoft will pay totally EUR 5.44 cash to purchase them. This news is big, not actually most of IT and Telecommunication related people will not bee too shocked because just one reason: Why Nokia ONLY makes Windows Phone. Microsoft and Nokia should have some plans to stay together very early. I was shocked about 20 minutes ago because I was just watching the US stock market, something happened suddenly because I saw the DOW seems crashed suddenly. but later it was pulled up soon. I could do nothing but just opening my mouse as an “O” ! WASHINGTON (MarketWatch) — The Associated Press says its Twitter account has been hacked, as the Twitter feed falsely said that there had been two explosions at the White House. 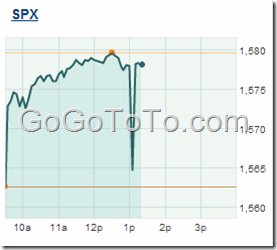 The tweet from the AP account briefly caused U.S. stocks SPX +0.91% to drop. White House spokesman Jay Carney is holding his daily press conference as usual. There have been lots of Microsoft Stores in USA. But there is no one in Canada. The good news is that the first Microsoft Store is coming. From the following official website shot, the opening date will be November 16, 2012. 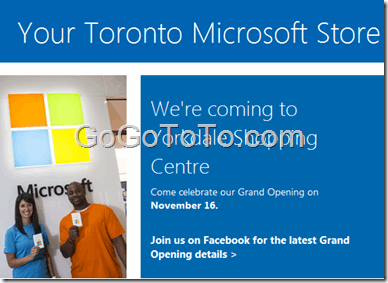 I think it will be a big date for Canadian Microsoft fans. Yahoo only had search engine, the search engine is not bad. However, Yahoo now has browser: Axis. Yahoo said: Yahoo! Axis redefines what it means to search and browse the Web. The Axis browser is mainly focus on Apple’s mobile users, for iPhone, iPad … etc. Also, for desktop user they provide plugin for those popular existing web browsers. Actually, Axis browser provides the different “face”: searched result is not pure text, but thumbs, such as a website home page thumb. If you are interested in the new Yahoo browser, please read their official site. 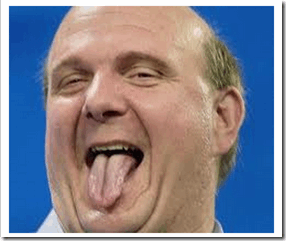 Microsoft’s Steve Ballmer is the Worst CEO in the World ? Forbes website recently posted a 3-pages article about 5 CEOs who should have already been fired. It means those 5 CEO are not qualified for a CEO. The interesting thing is who is the worst CEO in this world ? Actually Forbes just means who is the worst CEO of a large publicly traded American company, not all over the world, but for people, and all other medias, nobody cared about the range was limited a traded, large, and American company, they just simply think the worst CEO is worst CEO in this world. Poor Steve Ballmer, he was chosen to be the worst CEO in American area, but, people now think he is just the worst CEO in all over the world. #1 – Steve Ballmer, Microsoft. Without a doubt, Mr. Ballmer is the worst CEO of a large publicly traded American company today. Not only has he singlehandedly steered Microsoft out of some of the fastest growing and most lucrative tech markets (mobile music, handsets and tablets) but in the process he has sacrificed the growth and profits of not only his company but “ecosystem” companies such as Dell, Hewlett Packard and even Nokia. The reach of his bad leadership has extended far beyond Microsoft when it comes to destroying shareholder value – and jobs. For me, I don’t know the stock well, but I know Microsoft’s stock value has dropped too much since Steve Ballmer took the CEO place. Microsoft own the best software development team, but they lost too much in the mobile field, they missed too many chances. and, just say the web browser, I can not believe the IE browser can not win Chrome, actually the best web browser is definitely Google Chrome now, no more IE. Fortunately, Microsoft still have enough strong and great products such as Windows 7, .NET, and the coming new Windows 8. Microsoft is still the giant IT company, they only have to consider a better CEO maybe. LinkedIn had appls for iPhone, BlackBerry, Android, even Palm, but they did not have apps for Windows phone. Until today, they unveil it, the app for Windows Phone. Now the Windows Phone profession guys have the way to access LinkedIn to connect to their profession friends and groups. 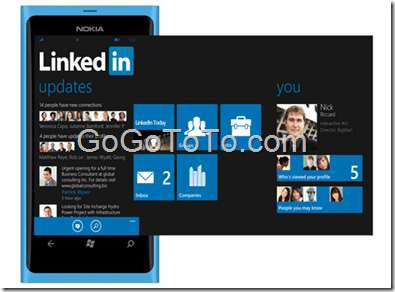 Please use the following useful links to get the new Windows Phone app, and join the group. There were many discusses about which tech company paid more. This is the newest information about payment rank. The following numbers are average payment annually. And, there is another important point, the average payment calculated based on most of Junior engineers payment in those company. About more details information, please read Business Insider.